Founded in Philadelphia in 1873, Friends Historical Association has become an organization that is international in membership and interests, and that anyone, Friend or not, is invited to join. 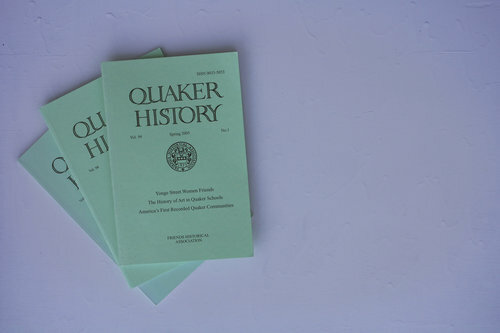 Julie Holcomb, the new editor of the journal Quaker History, is the speaker for the 2018 Friends Historical Association Annual Meeting on Saturday, November 10 at the Arch Street Meeting House in Philadelphia. Her talk, “Quakerism, Gender, and Reform: The Life and Work of George W. Taylor,” will convey Taylor’s work with the free produce movement and the relationship between religion, reform, business, and gender as seen in Taylor’s life and work. Starting with World Quaker Day (October 7th), we are spending the next year spotlighting notable Quakers through provocative quotes. We’ll archive the collection here along with bios and more information.